Everything we are about is included in our mission statement. 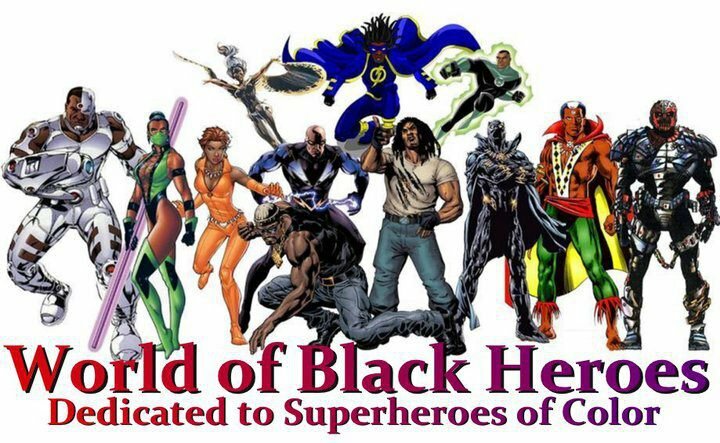 To this end, we work diligently to provide all things relevant to our fans concerning the whole universe of Black Heroes, and it is for our fans that we make sure the info is accurate. We have nothing but love for all our fans, and realize that if not for you faithful followers we would be no more than a footnote in the Black Hero history. With 2013 behind us, we take a minute to recap what happened on the site, and give some year end totals based on fan traffic. We hope for numbers to double in the New Year, so tell a friend about us! We will continue to provide the very best coverage in all things Black Hero related. From our Article items, according to the fan traffic numbers (at least 1000 views.visits), the number one visited item was our Top 30 Black Heroes selection with 10,747 views. 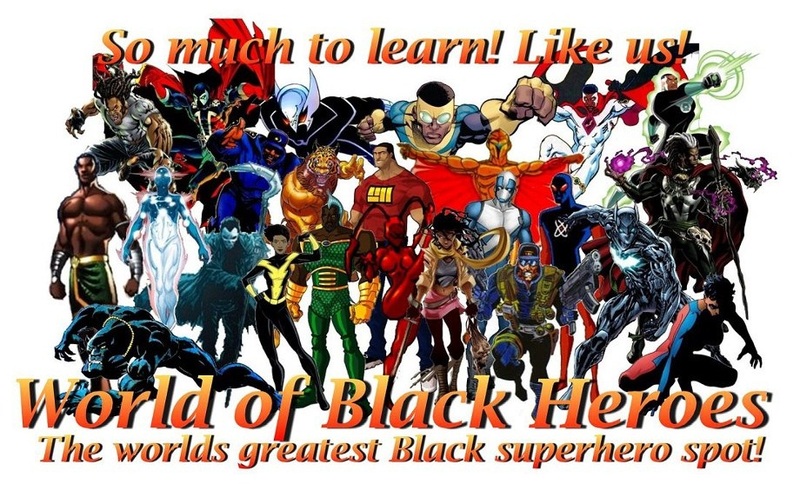 Coming in next was the Top 30 Black Heroes fan edition, with 10,647 views. Or piece on Wakanda was next followed by 13 comics to read in 2013. From the Black Perspective, the Black Heroes/LGBT article got the highest numbers of views. It is of note that when using the Bing search engine, if you type in “Black Heroes/LGBT” our article pops up first as the number 1 out of 70,000,000 reference items! Not too bad for World of Black Heroes! The MarvelNow and Luke Cage articles round out the rest of the group. Surprisingly enough the Mighty Avengers article didn’t make the cut but the Top 20 Milestone Heroes and Black Power Rangers articles did. In our character/hero categories the top 5 male heroes were Adam Brasher, John Stewart, Miles Morales, Black Panther, and our #1 most viewed/visited male hero was none other than Blankman! That’s right; Blankman! Congratulations and check out the movie starring Damon Wayans and David Allen Greer. In our female categories we had Monica Rambeau (Spectrum), Nubia, Kymera, Becka Munroe, and leading the pack was the ever popular mutant Storm! It should be noted that both Becka and Kymera have ties to Storm in some form or fashion, so it isn’t too surprising that they made the list. We encourage fans to check out all the characters. You may see someone you know or wanted to find out more about, or you may want to learn about new characters. Whatever the reason, check our character galleries; you’ll be glad you did! We try to review as many books as we can. We review not only the current books, but review books from earlier years. We understand that included in our fan base are comic collectors, and we like to give them as much info on the books as they decide whether to purchase them or not. In 2013 the most popular comics were; Justice League Beyond #25 (debut of the new female Flash), Wolverine and the X-Men #24 (Featuring Wolverine and Storm kissing on the cover), Midnight Tiger #1, Mighty Avengers #3, and Avengers #3. We reviewed more indy comics than we had before, and even proposed a list of indy books to read. We hope to provide even more access to indy books than we had before. 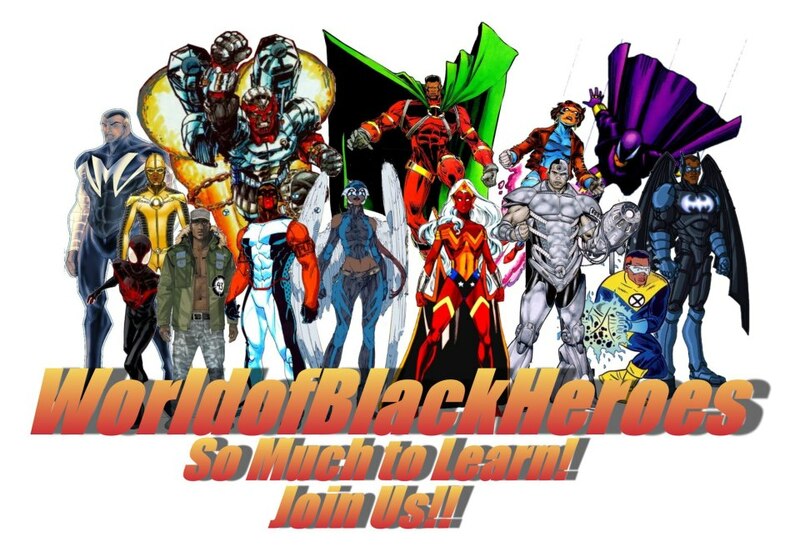 Lastly, we want to encourage our fans to continue spreading the word about not only the WorldofBlackHeroes website, but also the FaceBook page. In 2013 we saw our page go from 10,000 in January to over 16,000 in December! Nice right? We would absolutely love it if we can even double those numbers! It’s possible. Make sure you are telling your friends about us and suggesting our page to all your FB friends! Thanks for a great year in 2013. We hope 2014 is shaping up excellent for all our fans!